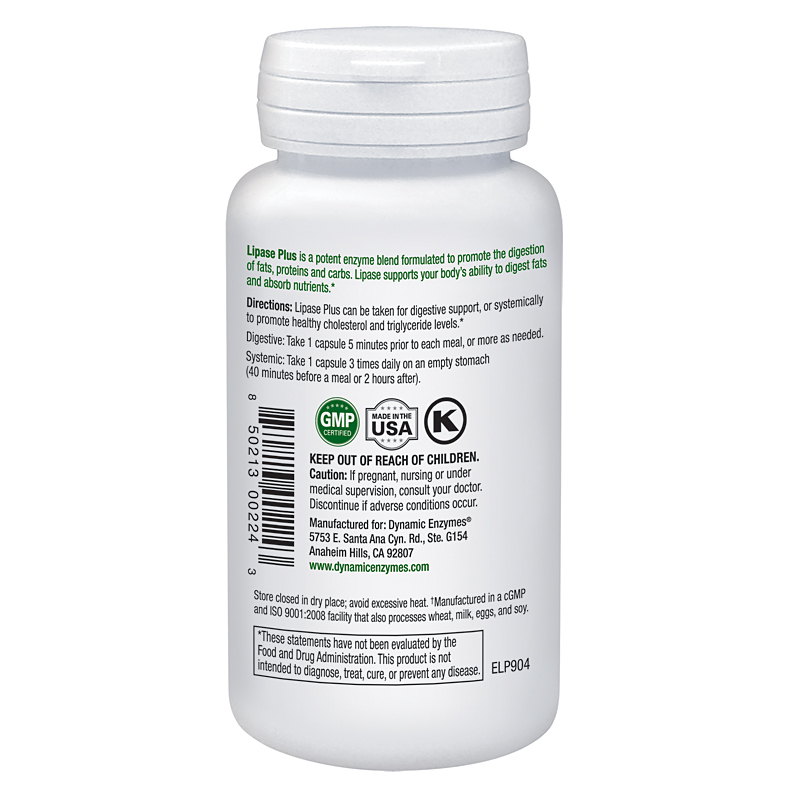 Lipase Plus is a powerful digestive enzyme formula designed to break down fats and support healthy cholesterol levels. Eat E-Z Lipase Plus is expertly formulated to support fat digestion, thus enabling fats to be broken down into essential fatty acids and absorbed into our body to use for vital functions. Improperly digested fats remain in the body and causes havoc on our digestive system. Fats are essential to our diet, and Eat E-Z Lipase Plus is one of the strongest lipase products on the market. Eat E-Z Lipase Plus is free of pesticides, chemicals, preservatives, animal derivatives, yeast, fish or shellfish, peanuts, and tree nuts. All individual enzymes are kosher-certified ingredients, and suitable for vegetarians and vegans. The enzyme lipase, which breaks down lipids (fats), is mainly produced in the pancreas and secreted into the small intestine, where it is mixed with chyme (partially digested food passed down from stomach) to digest fats. Deficiency in lipase can result in increase in cholesterol levels, particularly triglycerides, and cause trouble losing weight. Our body requires a healthy level of fat in our diet. And the lack of nutrients provided by fat can adversely affect our well-being. The body naturally produces the enzymes required to digest food and absorb its nutrients. Factors such as stress, age, and the environment can slow down the body’s natural enzyme production. When the body doesn’t produce the type or quantity of enzymes required to properly break down food, we can experience symptoms such as bloating, excessive gas, oily stool (Steatorrhea), diarrhea, and unwanted weight gain. More serious issues related to the pancreas can also form. Eat E-Z Lipase Plus supports the digestion and absorption of fats in our diet. It can also be used as a systemic enzyme to promote healthy cholesterol levels. Further, it contains protein and carbohydrate-digesting enzymes to assist in balanced absorption of all nutrients. Eat easy with Eat E-Z Lipase Plus. 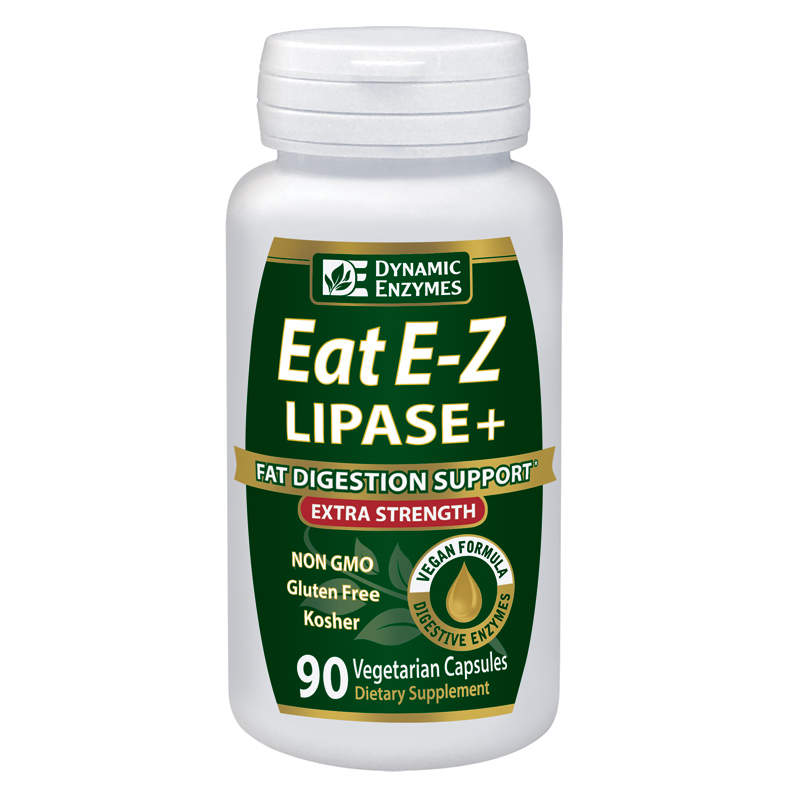 Eat E-Z Lipase Plus is a potent enzyme blend formulated to promote the digestion of fats in your diet. It also has an added bonus to support the digestion of proteins and carbohydrates. The enzymes work at their maximum efficiency with eight coenzymes and cofactors: Calcium, Manganese, Magnesium, Vitamins B1, B6 and B12, Amla and Phyase. It is manufactured in a ISO 9001:2000 and GMP certified facilities, and undergoes rigorous quality testing. See the picture for the Supplement Facts Box. When should I use Eat E-Z Lipase Plus? Lipase Plus can be taken as a digestive or systemic formula depending on the intent of usage. 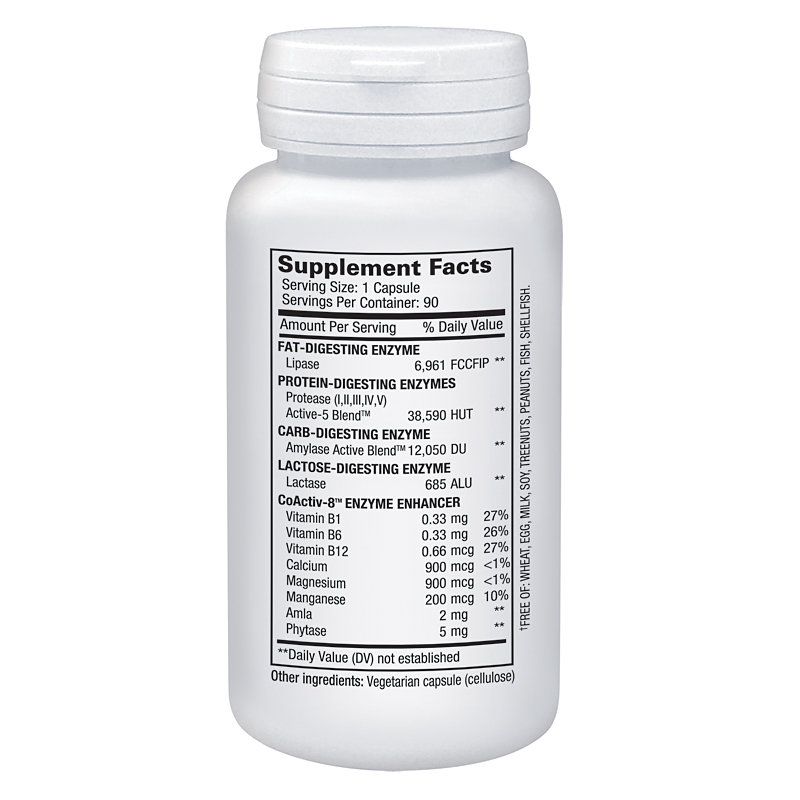 For Systemic Use (to support healthy cholesterol levels and weight management): Take 1 capsule with a large glass of water on an empty stomach. In addition, take 1 capsule before every meal. 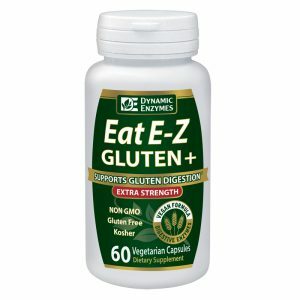 Where can I find Eat E-Z Lipase Plus? Our line of EAT-EZ products were designed to be a retail line; Therefore, you can find them in local health food stores listed on our website. Feel free to have your local health food store call us and we’ll make sure they get the opportunity to carry our products too! You can also order directly from us with free shipping!